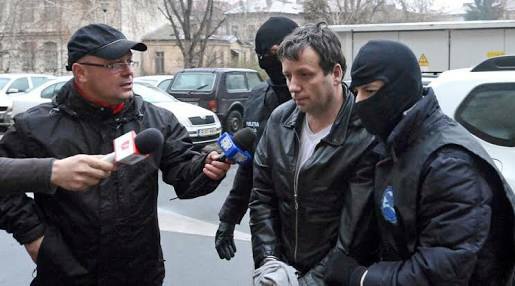 A Romanian hacker nicknamed "Guccifer" who helped expose the existence of a private email domain Hillary Clinton used when she was U.S. secretary of state was sentenced on Thursday to 52 months in prison by a federal court in Alexandria, Virginia. Marcel Lazar, 44, who used the alias online, had pleaded guilty in May to charges including unauthorized access to a protected computer and aggravated identity theft after being extradited from Romania. Lazar's public defender, Shannon Quill, was not immediately available for comment. Lazar has said in interviews he breached Clinton's private server at her home in Chappaqua, New York, but law enforcement and national security officials say that claim is meritless. Lazar is believed to have hacked into email accounts of about 100 victims between 2012 and 2014. They include prominent political figures such as former Secretary of State Colin Powell, a relative of former President George W. Bush and Sidney Blumenthal, a former Clinton White House aide and an unofficial adviser to Clinton. Clinton is now the Democratic nominee for president. Lazar leaked online memos Blumenthal sent Clinton that were addressed to her private email account, which was used during her time as secretary of state to conduct both personal and work business in lieu of a government account. Clinton's email arrangement, which became the subject of an FBI investigation, has drawn intense scrutiny from Republicans attempting to sow doubt about her honesty ahead of the Nov. 8 presidential election. An entity calling itself "Guccifer 2.0" and claiming to be a Romanian hacker emerged in June and began taking credit for data breaches at the Democratic National Committee and Democratic Congressional Campaign Committee. U.S. intelligence officials and cyber security experts believe Guccifer 2.0 is a front for Russian intelligence services intended to spread confusion about the hacks against the Democratic Party.